These are absolutely GORGEOUS!! I love love love the colors and those dogs!!!!!!!! Congratulations Tracey! What an honor. Also a fabulous post as you go through the wow factors. I completely agree. Both cards are fabulous. I love the dots in the bright colors against the white with the fun sentiment. Your sweet pup and kitty sit well against that wonderful wash of colors too. Have a great weekend, looking forward to your remaining w&w posts. Congrats on your Leading Lady spot! Your cards are adorable! Love the die cut 'you' as part of your sentiment on the dotty card! And the pups are adorable on your second card! Gorgeous cards, and so many great design tips in your post. Congrats on being Leading Lady for August! I love your cards. You make the CAS style look stellar! Cute cards. I like the colorful dots on the first and the colorful background for the cute pets. Congrats on your month as leading lady Tracey! That sweet puppy and kitty card makes me go awwwwwww, and I love that CAS design too. I always have trouble with CAS cards because they never look quite finished to me. So, I'm going to be watching for your posts for tips on how to do it right! Beautifully designed cards! Absolutely fantastic! Both your cards are lovely. Thanks for sharing your creativity. How fun to see your sweet card designs for this month's Leading Lady spotlight! That CAS card with the Dotty stamps couldn't be more perfect and the combination stamped and die cut sentiment work so well! and great details on them. Very cool to see you at Winnie and Walter as their leading lady this month! Love your work! Love your clean and simple style. Both cards are great. How exciting to be the Leading Lady this month! Big congrats, Tracey! Love your CAS style shown in these 2 wonderful cards! Great cards, Tracey! I must admit I love those cute little critters! Good luck! I can't wait to see everything that you create; you are so talented. Wonderful cards. I love the clean and simple style. LOVE that you are the leading lady. Congratulations Tracey! And from someone who's been using your cards as Muse it's a delight to read how you plan and execute CAS. I have so much to learn from the leading lady. Fabulous card! Congratulations on the guest spot...well deserved! I love both of your cards with their CAS look! 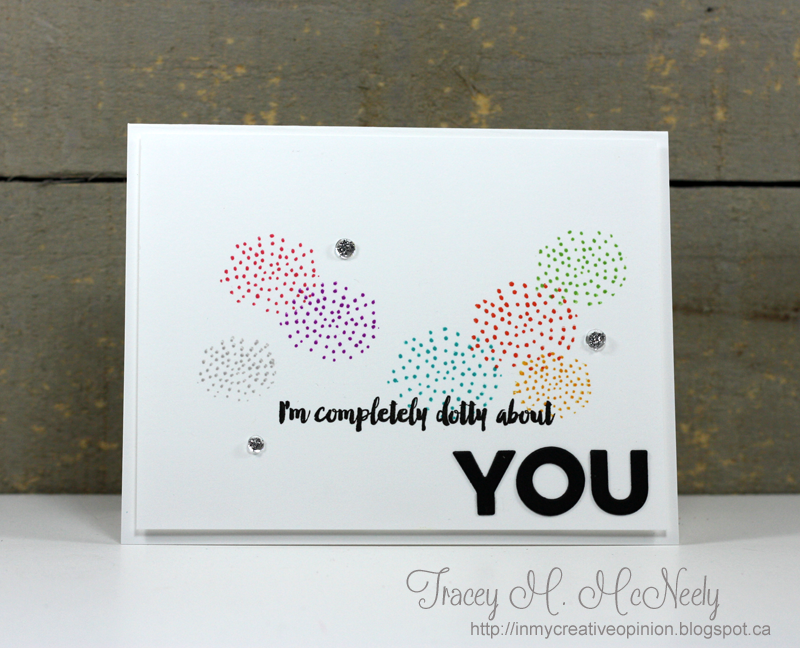 I love the Dotty About You stamp set you used, such a nice subtle look. Now the card with the dogs is my favorite because I just love dogs and that sentiment is so stinking cute! The cat and dog snuggling is darling. and don't take away the focus. card. Less is always more. A huge congrats sweet friend, well deserved! Your cards are CAS fabulousness as they always are! Hi Tracy, I love your card designs and all the little details that you added for interest. Love the idea of adding stickles to the center of the sequins. Tracey you've always been a Leading Lady to me, my friend! I am dotty over that dotty card! Both your cards are lovely! The rainbow of dotty circles is so elegant and the background of the second card is perfect! Having you as the Leading Lady is a promise to learn some helpful tips and the warranty to see beautiful CAS cards. This is already happening today with your first post and these two cards. Thanks so much for sharing your knowledge ! Oooh, such great cards! I love the background on the woof you very much card! Congrats on being the new Leading Lady for this month! Beautiful and adorable cards!!! How fun to have you as W&W's Leading Lady this month. Congratulations! I love the impact of your first CAS card, and your pets card is adorable. Congratulations on being Leading Lady, Tracey!!! 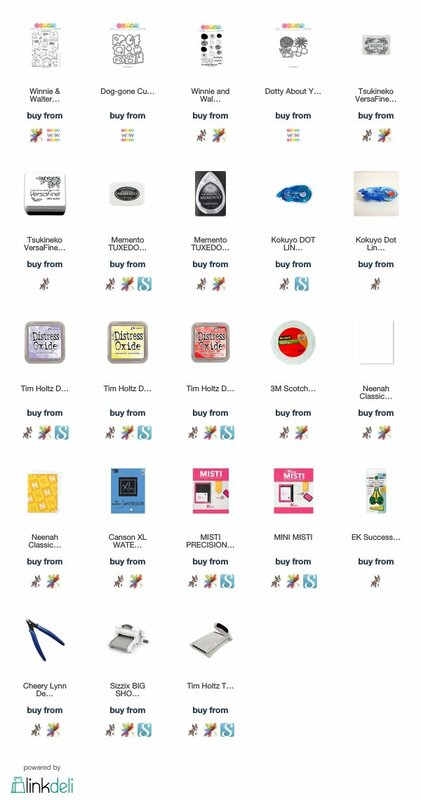 Love your fabulous CAS cards and all of the helpful tips you shared for creating interest while keeping things CAS! I enjoy the CAS style and both of your cards are wonderful. Thanks for the tips. Gorgeous cards ! I think CAS cards must be my hardest card style despite simple being in title. Your work is beautifully clean & crisp mine is aimed at cas but more mwfp ( messy with finger prints) which I'm sure needs a section of its own hehe ! Thank you for great examples. Great cards. Love those cute doggies. 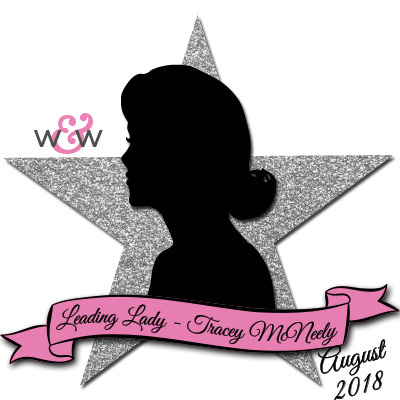 Congrats on being Leading Lady at W&W, Tracey...you are so deserving of this honor! Congratulations on being the Leading lady. Love the pops of color on your cards. Love these CAS cards - especially the watercolor bg on the second card! Your sweet pets just pop! Yay! Congratulafions, Tracey for being W&W Leading Lady. Your CAS cards are beautiful and adorable! Cute cards. Love the dotty one and the tips for stepping it up a bit. Beautiful cards! Love how clean and crisp they are with fun pops of color! Gorgeous cards! I love how you mixed the colors in the second one. Thanks for the inspiration.